This remodel and update of the brand's existing cafe focused on improving the customer flow and freshening the look of the space. 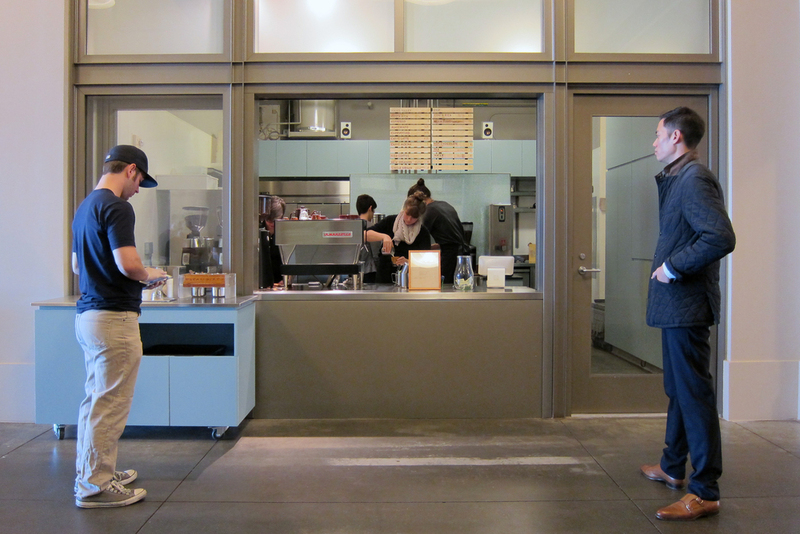 A heroically cantilevered stainless steel service counter fronts the space, while cabinets painted "Ferry Building blue" (yes, the exterior of the ferry building is in fact blue) provide a crisp counterpoint. Completed as Project Lead at Jensen Architects.